What do the SXSW Food and Social Impact tracks have in common? Both will inspire badgeholders to creatively explore their respective identities and future. The Food Track brings together the culinary community’s most inspired entrepreneurs, chefs, data scientists, investors, filmmakers, and enthusiasts to connect and explore ways in which technology can be leveraged to transform the industry, while the Social Impact Track highlights innovative ideas from the creative industries that are contributing to a better, more equitable world. “We’re covering some very serious issues in the Social Impact track [this year], but what keeps me going every day is the compassion, brilliance, and hopefulness inspired by the people doing the work. Our speakers approach problems knowing they can make a difference, and with the confidence that solutions do exist. That’s the best feeling in the world,” said Social Impact programmer, Tammy Lynn Gilmore. As far as Food Track sessions are concerned, there’s much to be excited about. Programmer, Kelly Krause, pointed out just a few reasons to attend, saying, “This year’s Food Track will touch on everything from AI and Machine Learning changing how we eat, to the future of protein and hacking meat, to the connection between hip hop and food. I’m thrilled this year’s lineup is full of thought leaders, chefs, and change-makers pushing us to think more critically about what we eat, how we’re sourcing it, and what the future of food looks like. Also, there’s a lot of creative and fun food related events at SXSW this year, too. Our Chief Programming Officer, Hugh Forrest wrote about it here.” So…is your mouth watering yet? Every weekday morning since 1952, the TODAY show has had a metaphoric seat at the breakfast table of millions of viewers. 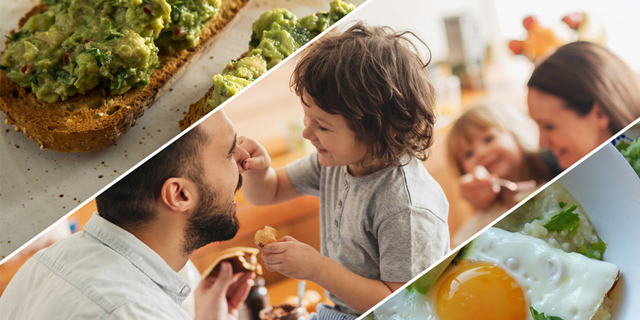 This unprecedented position has yielded unique insights into the ways American families seek connection, comfort, and conversation around food – creating, in essence, a snapshot of America’s cultural evolution. With findings from a new TODAY research survey on breakfast ready to debut exclusively at SXSW, and a recent slew of buzzy breakfast product launches (smart coffee pots, a reformulated pancake recipe at Denny’s), there is no question that breakfast is disrupting the way Americans eat, think, and live. From three-Martini lunches (1950s) to syrupy-sweet wine coolers (1980s) to the rebirth of classic cocktails (mid-2000s), signature drinks reflect the personality of an era like nothing else. Continuing that trend today, bourbon has been one of the hottest spirits around for more than a decade. Drinkers worldwide have developed an insatiable thirst for the classic American whiskey. And while the spirit may have a new generation of fans, it pairs beautifully with a historic American favorite: barbecue. Noah Rothbaum, Chief Cocktail Correspondent at The Daily Beast and author of The Art of American Whiskey, will join Edward Lee, celebrity chef and author of the cookbook Smoke & Pickles, to explore the classic duo in depth. The two will not only discuss which bourbons work best with specific styles of barbecue, but also how the right bourbon can bring out the smoky flavor in a brisket. Join this discussion about our evolving tastes in alcohol through the decades and the long history behind bourbon and barbecue’s love affair. Bonus? Audience members will get the chance to try some of Rothbaum and Lee’s favorite under-the-radar bourbons, as well as a cocktail or two. Start your happy hour early and come thirsty! Religious freedom is a cornerstone of the American dream. But what is the experience of a young Muslim girl living in New Jersey in the aftermath of 9/11? Amani Al-Khatahtbeh responded by creating a space for Muslim women to talk back to negative, inaccurate media representations of people who share their faith. Muslimgirl.com is the most-read platform for Muslim women’s voices in the West and an inspiration to a generation of women making their voices heard. Hear her story and learn how she built her own media powerhouse at the age of seventeen.